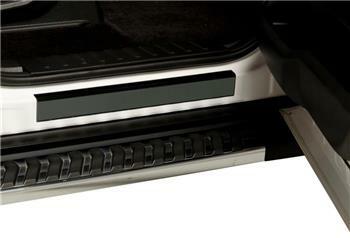 Putco Black Platinum Door Sills - Dezod Motorsports Inc - Home of the automotive performance enthusiast since 2002. Custom designed door sills to protect your vehicle. UV Stable – easy to maintain. Made of premium BLACK PLATINUM™ 304 stainless steel.